A monochrome display is also known as a "black and white" or "grayscale" display, as opposed to a color display. Monochrome does not literally mean "black and white", though. A monochrome display could be green and black, blue and black, etc. 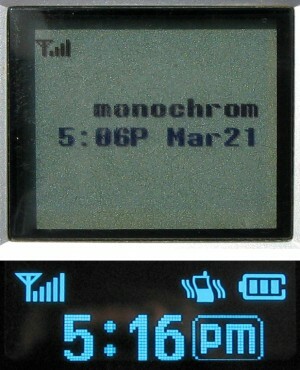 Most (but not all) monochrome displays are also able to show shades of gray between black and "white".